What is a Folder Widget and what is it used for? Embed a Drive Folder along with subfolders and files. 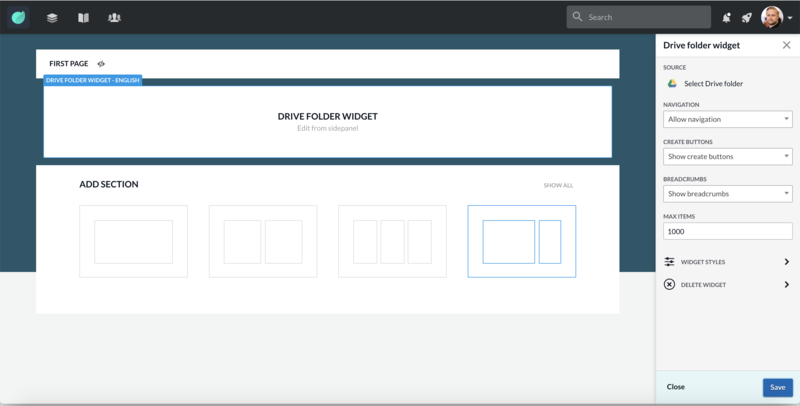 Allowing users to access files and folders directly from the Page. Select drive folder: Choose drive folder to connect. Create buttons: Hide or show buttons to create folders, docs, sheets, slides, forms and upload. Max items: Set the max number of documents and folders shown before needing to click “show more”.